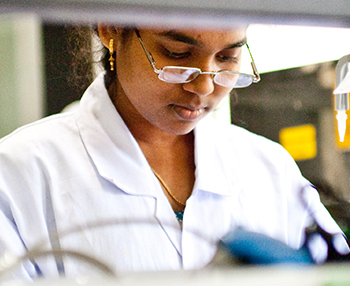 Join us in our mission to provide 7 billion people access to high quality medicine. Mylan is a high performing learning organization that challenges its employees to Lead, Learn, Teach and Perform every day with the right attitude. At Mylan, people are our most important asset and we encourage our workforce of about 15,000 people to connect, collaborate and communicate as much as possible. Our global center is based in Hyderabad and we have a strong presence across multiple locations including Telangana, Andhra Pradesh, Maharashtra, Madhya Pradesh and Karnataka. Mylan’s culture is driven by a passion and commitment to quality. We make quality part of everything we do and focus on doing what’s right, not what’s easy. We have a strong work ethic and operate with the highest degree of integrity. Additionally, we encourage engagement beyond work. Life at Mylan encompasses a large scope of activities that energize and refresh employees. Each year, employees participate in a variety of celebrations including Women’s Day, Sports Day, World Environment Day, Nashik Day and an annual cricket tournament. Mylan supports a learning culture that encourages its employees to be curious and ask “why.” You will play an active role in your career development and have access to a variety of online and classroom learning opportunities. Our development programs offer technical and behavioral skill enhancement through a combination of classroom and alternate learning platforms such as Toastmasters club and outbound learning, both of which provide a rich blend of fun and learning! A combination of internal facilitation and external learning partnerships deliver diverse and effective learning outcomes for employees. We also offer a robust higher education program, in partnership with leading institutions across the country. At Mylan, people are our greatest asset and we believe in treating them as such. A host of different benefits are available to our employees, tailor-made to maximize your well-being. Mylan encourages employees to take charge of their health — and that of their families. We offer insurance benefits through our group mediclaim policy for yourself, spouse, children and parents; personal accident and life insurance for yourself. Our housing loan interest subsidy provides employees the opportunity to mitigate the interest burden on their home loans, while MEWA, our employee welfare trust, supports your education aspirations or marriage expense, depending on need. Our flexible compensation structure helps you plan your pay check according to your life-style. These and many more benefits, such as gratuity, a no-cost to employee canteen and transport facilities service awards, are what employees at Mylan enjoy as they perform in an environment that encourages professional growth.